I know I haven't blogged or posted many stories lately, but I do assure you that I have been working on Crooked Fang-related material! Here's a quick link to the post over at crookedfang.com. Nerine Dorman and I will be releasing this for a menial price in February 2012 in all electronic formats. 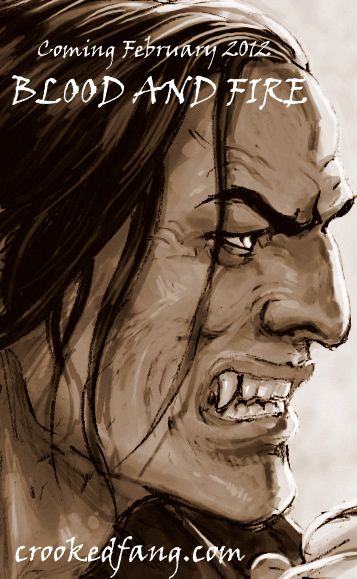 Don't forget, Crooked Fang itself will be unleashed upon the world May 2012! See Nerine Dorman's post for the other half here! YAAAAY! Glad to hear there's going to be more!